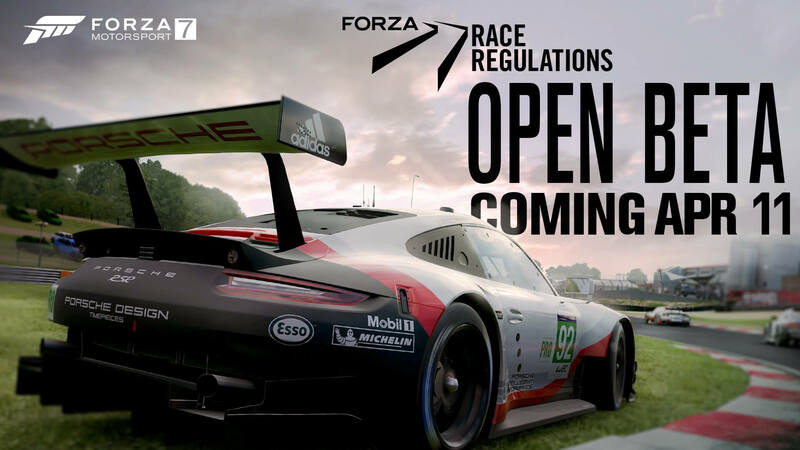 The Forza Race Regulations Open Beta begins on Thursday, April 11th for all Forza Motorsport 7 players in the form of a dedicated Cycled Production Hopper with race adjudication enabled. The news was shared by developer Turn 10 Studios earlier tonight on the official social accounts for the Forza franchise. Forza Race Regulations has been available in Forza Motorsport 7 since the March 2019 Update in the form of a Closed Beta Hopper that was open to both developers from the studio and select dedicated players in the community. This allowed the team to gather feedback and make early adjustments to the adjudication system ahead of its wider roll-out to all Forza 7 owners. The March version of Forza Race Regulations focused on adjudicating track-cuts and providing players with penalties if they received an advantage by doing so, but since the April 2019 Update, these penalties now also affect the final positions of each driver on the post-race leaderboard. This doesn’t however affect event rewards nor the grid placement of players in the following race, but lookout for these in a future version of Forza Race Regulations, alongside calculated penalties for car-to-car collisions, ghosting of lapped players and the option to enable the adjudication system in Private Lobbies – the latter of which is slated to arrive in May. Turn 10 Studios has also made various UI tweaks in its latest evolution of Forza Race Regulations to improve the flow of adjudication and penalties mid-race. The “Under Investigation” language was removed in this month’s release and now the system provides a better understanding of whether a penalty has been applied or not after leaving the track. Furthermore, the post-race screen highlights the number of penalties each player has received, as well as their total penalty time. Since penalties affect the final race positions, this leaderboard screen also shows any positions that have been changed due to applied penalty time. 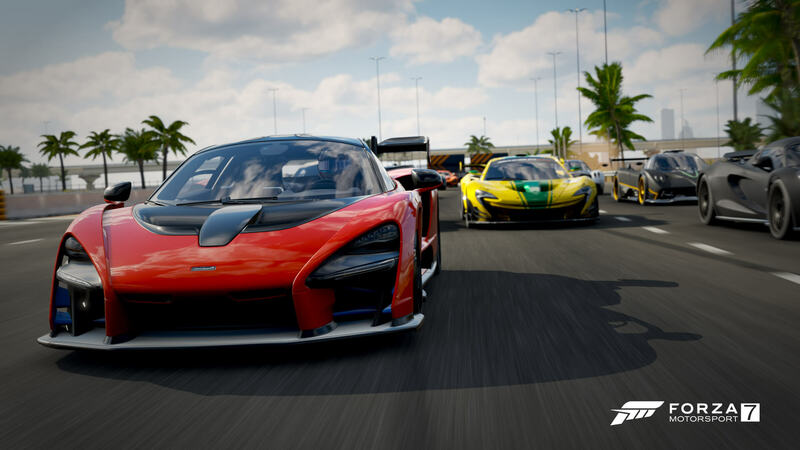 The developer also made additional behind-the-scenes improvements to Forza Race Regulations with its recent April 2019 Update, one of which allows Turn 10 to make dedicated lobby rule-sets configurable on the server side instead of pushing out a full title update to Forza Motorsport 7 each time it adjusts them. This improvement also lets the team be nimbler in setting up lobby rules for Forza Race Regulations in the future, which will be essential as the developer continues to develop, test and refine its robust feature set for the long-awaited adjudication system. Finally, those who are eager to provide specific, constructive feedback for Forza Race Regulations to be reviewed by the development team based on their own experiences with the adjudication system in Forza Motorsport 7 will be able to do so using this dedicated thread available on the official Forza Forums. Be sure to test drive the Forza Race Regulations Open Beta from Thursday, April 11th in its dedicated Multiplayer Hopper available to everyone on Forza Motorsport 7 and then share your thoughts, ideas and suggestions to Turn 10 and help shape the future of this ambitious, robust and genre-defining adjudication system.